REDMOND, Wash., May 26, 2016 (Planetary Resources PR) – Planetary Resources, Inc., the asteroid mining company, announced today that it has secured US$21.1 million in Series A funding. The capital will be used to deploy and operate Ceres, an advanced Earth observation business that features the first commercial infrared and hyperspectral sensor platform to better understand and manage humanity’s natural resources. The funding was led by Bryan Johnson and the OS FUND; and joined by Idea Bulb Ventures; Tencent; Vast Ventures; Grishin Robotics; Conversion Capital; The Seraph Group; Space Angels Network, a syndication of investors from Angel.co; and Larry Page. Earth observation will be another aspect of Planetary Resources’ operations in addition to prospecting and mining asteroids. Conceived from the company’s vision for the exploration and utilization of asteroid resources, Ceres will leverage Planetary Resources’ Arkyd spacecraft to deliver affordable, on-demand Earth intelligence of our natural resources on any spot on the planet. While typical satellite imagery provides only a picture, Ceres will provide actionable data with higher spectral resolutions – going beyond what the human eye can see – by measuring thermographic properties and detecting the composition of materials on Earth’s surface. The midwave-infrared sensor is the first ever commercial capability from space to offer thermographic mapping and night-imaging, and the hyperspectral sensor includes an unprecedented 40 color bands in the visible to near-infrared spectrum. 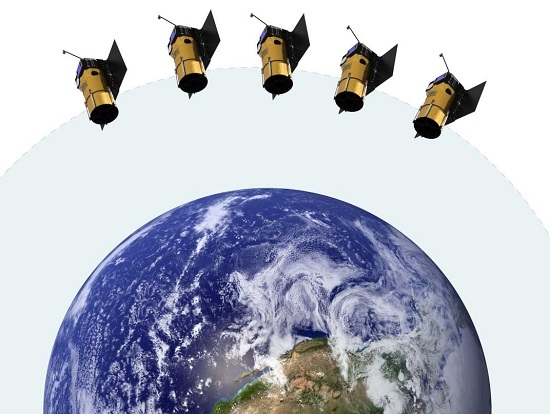 The imaging technology is integrated onto the Arkyd spacecraft and deployed as a constellation of 10 satellites in low-Earth orbit. The constellation will provide global monitoring capability to benefit multiple industries including agriculture, oil & gas, water quality, financial intelligence and forestry. Ceres can analyze the spectral signatures of crops and provide customized information to growers, identify energy and mineral resources, and monitor pipelines and remote infrastructure. The system can also track toxic algae blooms, monitor global water quality and enable the detection of wildfires in their earliest stages. Planetary Resources is currently testing Ceres’ sensor platform and will demonstrate the technology in space with an upcoming scheduled launch of the company’s Arkyd 6 spacecraft onboard a Space X Falcon 9 rocket. The mission will validate the thermographic sensor and supporting technologies for the Arkyd series of spacecraft. For more information on Planetary Resources’ Ceres, please visit www.planetaryresources.com. Planetary Resources, Inc., the asteroid mining company, was founded in 2009 by Eric Anderson and Dr. Peter H. Diamandis. The company’s vision is to establish a new paradigm for resource utilization that will bring the Solar System within humanity’s economic sphere of influence. The pathway in identifying the most commercially viable near-Earth water-rich asteroids has led to the development of multiple transformative technologies that are applicable to global markets, including the agriculture, oil & gas, mining and insurance industries. Planetary Resources is financed by industry-launching visionaries who are committed to expanding the world’s resource base so humanity can continue to grow and prosper for centuries to come. Some of the company’s partners and advisors include 3D Systems, the Bechtel Corporation and Analytical Graphics Incorporated; Sara Seager, Ph.D., professor of Planetary Science & Physics at MIT and TED fellow; Dante Lauretta, Ph.D., professor of Planetary Science at the University of Arizona and principal investigator of NASA’s OSIRIS-REx mission; Anatoly Gitelson, Ph.D., Emeritus Remote Sensing Specialist, University of Nebraska’s School of Natural Resources, now with Israel Institute of Technology, Technion; and Susan Ustin, Ph.D., professor of Environmental and Resources Sciences, University of California, Davis. Members of the company’s technical staff have worked on every recent U.S. Mars lander including Spirit, Opportunity and Curiosity, and include other key non-aerospace and safety-critical disciplines. For more information, please visit www.planetaryresources.com. Follow us on Twitter, Facebook, Google+ and YouTube for all the latest updates, and sign up for our newsletter! 90% of the farms in US are family own and less than 1 sq mile and barely making by… Unless Planetary Resource is going door to door with a bunch of Agriculture PhD hawking Hyper-spectral images, I think they are sticking with them Farmer’s Almanac for a while. You make a great point, which begs the next question: If hyperspectral imaging turns out to be the next frontier in farming, AND only large industrial scale farming operations can afford and interpret the data, THEN how much longer is the traditional family farm going to survive in America? It’s a very big IF I think. Had a conversation with a friend’s dad owns a company that sells these boutique Hyper Sensors tom Military and gov agencies, who had done some work with some University Agri Dept. He think we are long way off. Every year the rains comes a different time, and farmers hedge their bets with a certain different seed, and the soils always different and changing… You are talking about a huge amount of data and variables to crunch to make any sort of perdition. I kind of agree with him, we are a long way off.